Lotte's Koala March biscuits are very popular all over Asia. 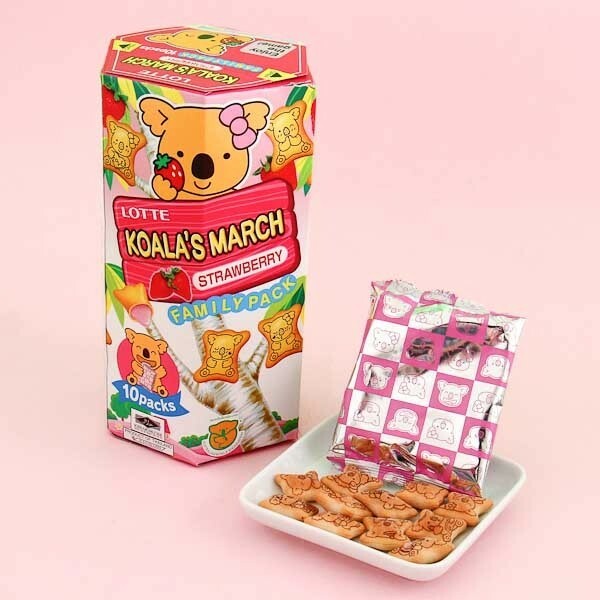 Enjoy the crunchy biscuit filled with yummy strawberry cream filling while looking at each little koala's cute activities. 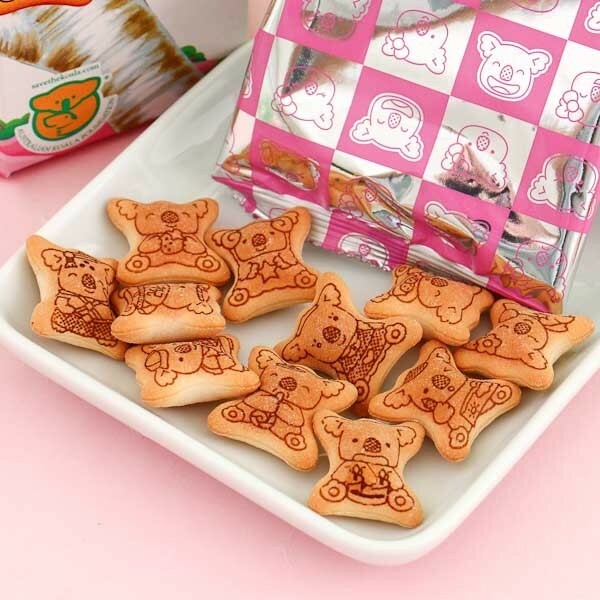 Each biscuit is illustrated with a koala character! There are koalas in different costumes, moods, and themes! In total there are 200 different koala designs! This giant family pack has 10 smaller sachets inside, and you can share them with your family and friends. Koala's March also supports the Australian conservation group Australian Koala Foundation!